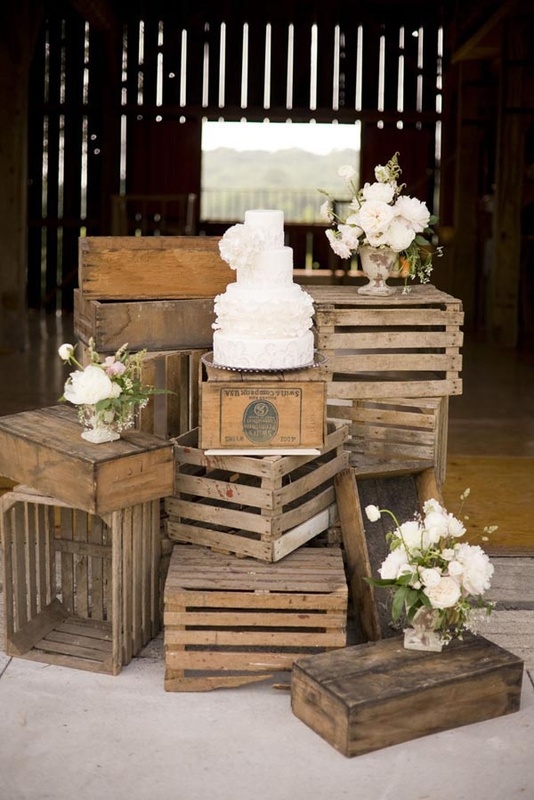 I’m taking the time off from featuring this year’s wedding theme trends (which are more on the “formal” side), and instead, I’ll feature a theme that is very close to my heart *wink wink* – The Rustic Vintage or Rustic Chic. 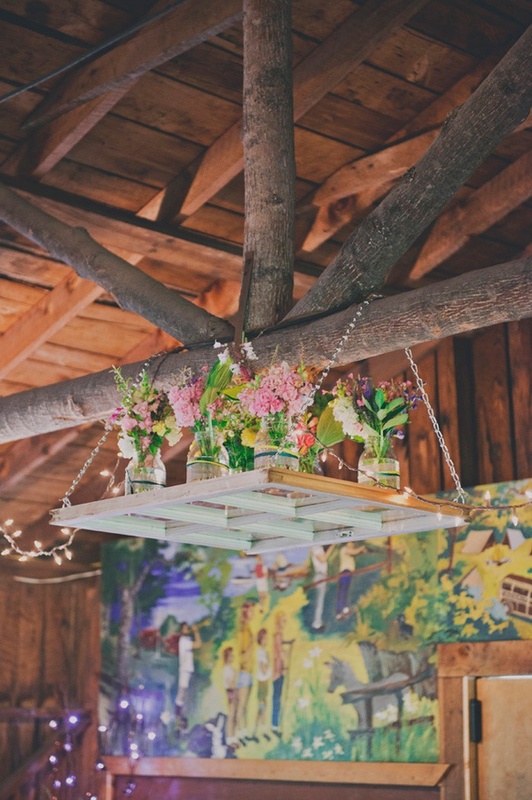 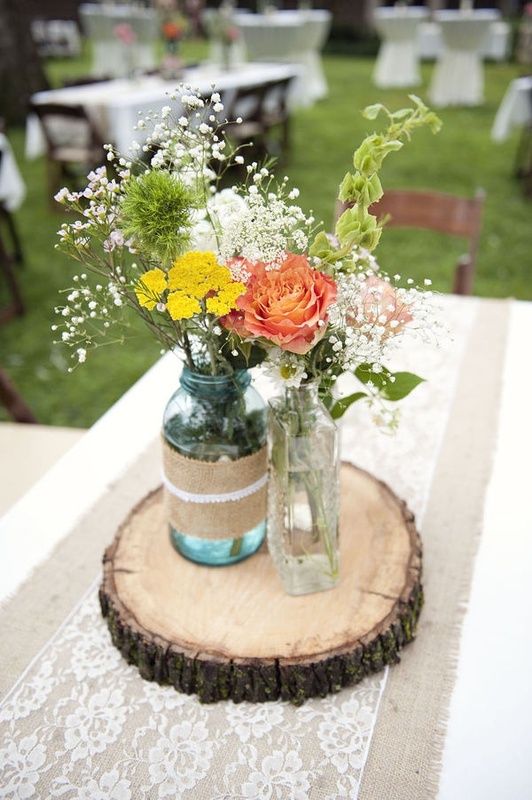 Think “woodsy” and vintage in their most organic and raw beauty – long wooden tables, burlap, lace, jute & twine, mason jars, wild flowers, twinkle lights, heirloom pieces, and lots and LOTS of DIY. 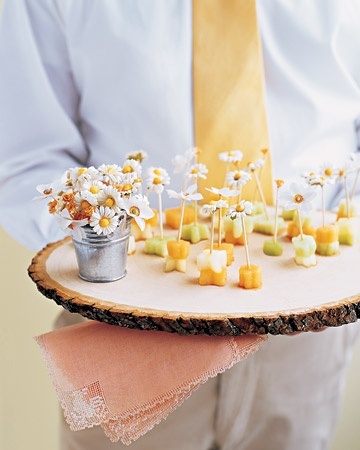 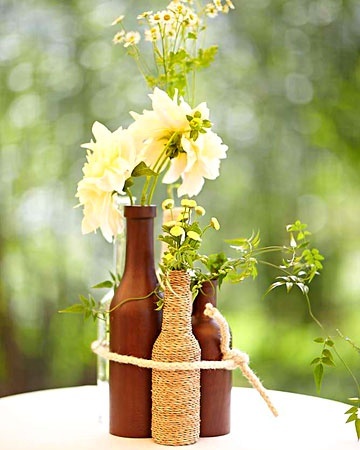 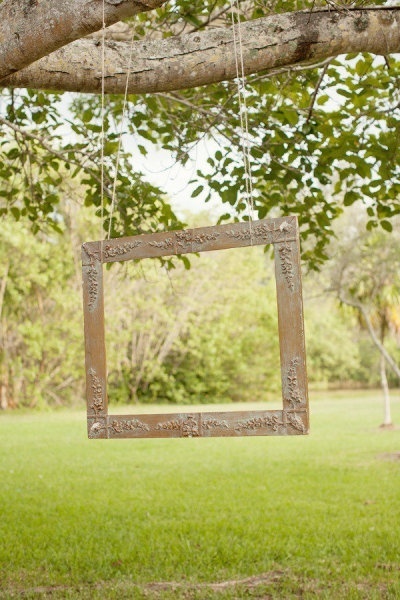 This theme’s simplicity and carefree-nature are what make it stand out from the other wedding themes. 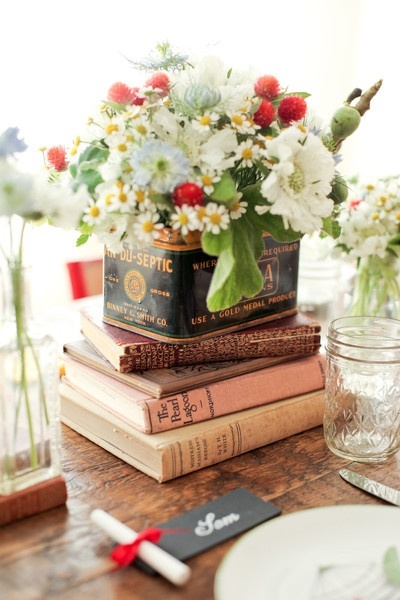 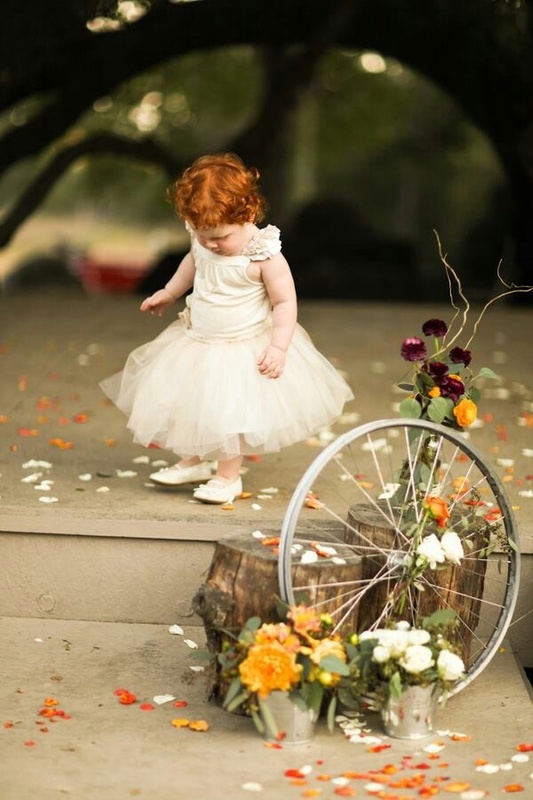 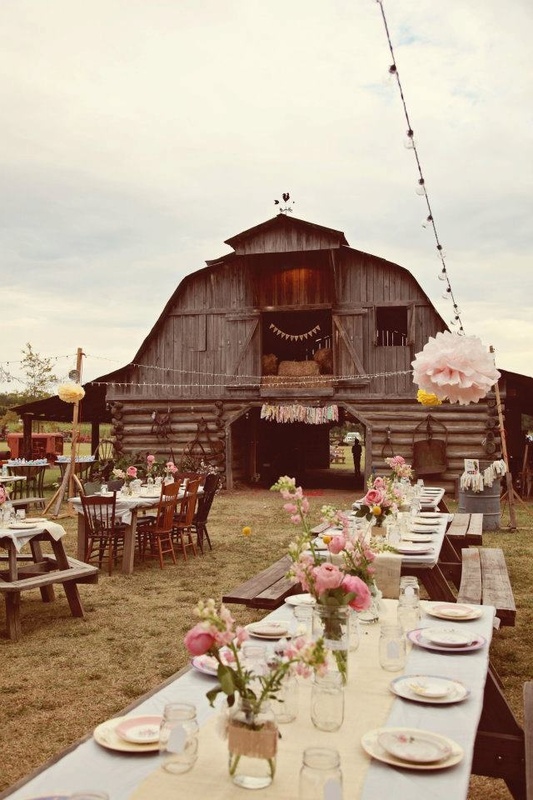 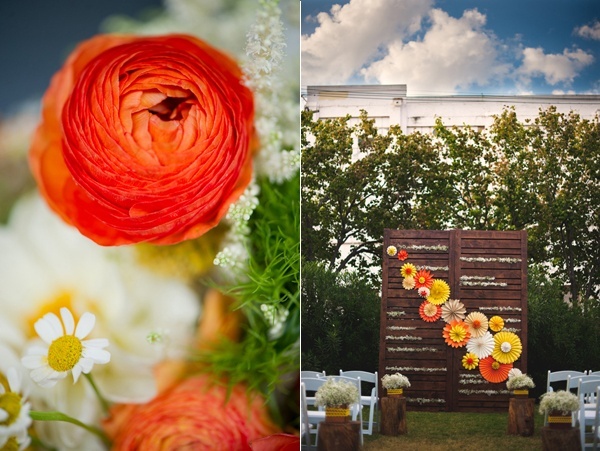 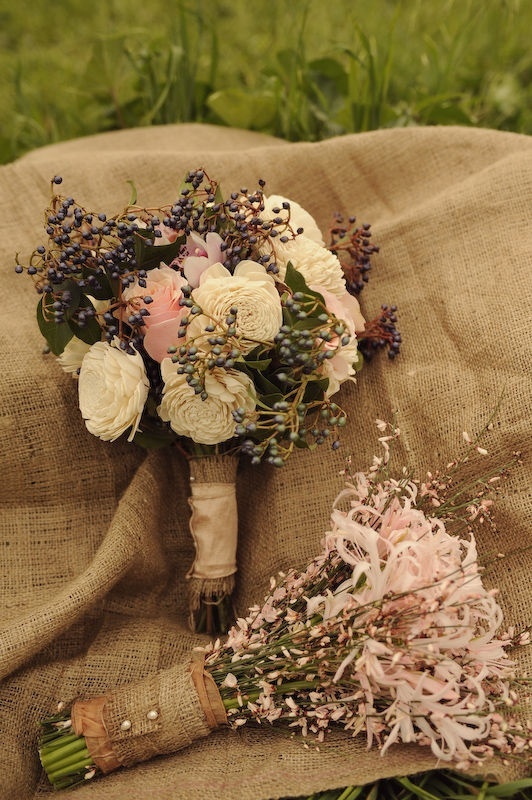 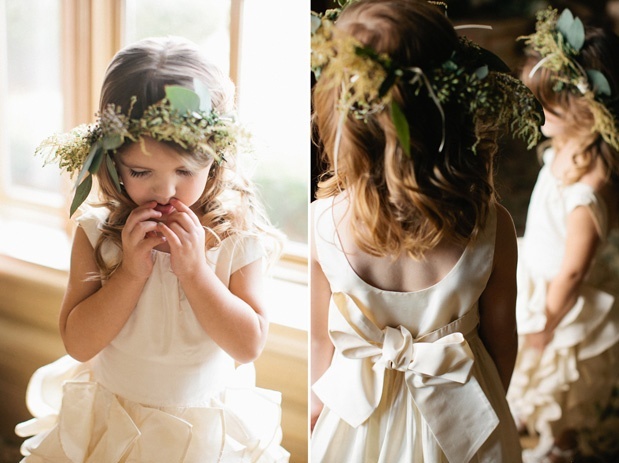 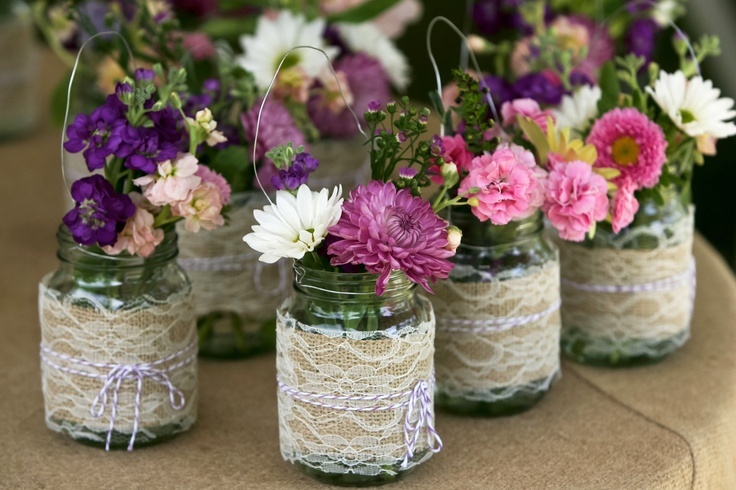 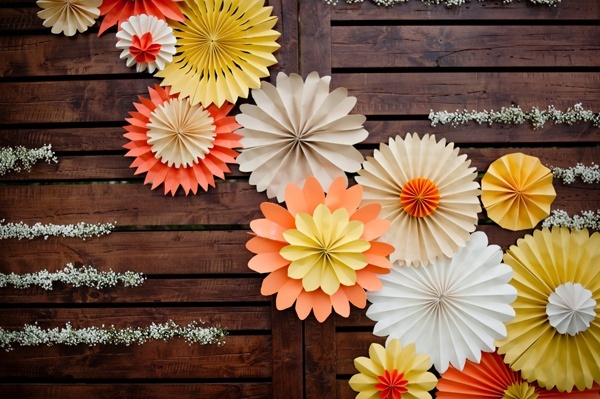 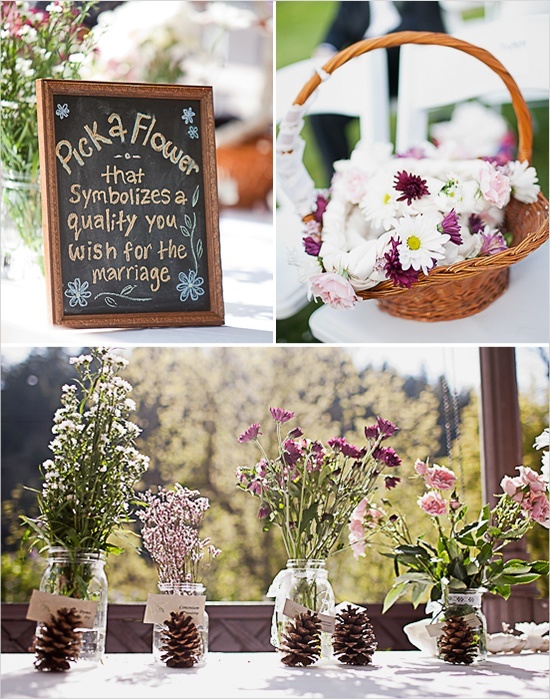 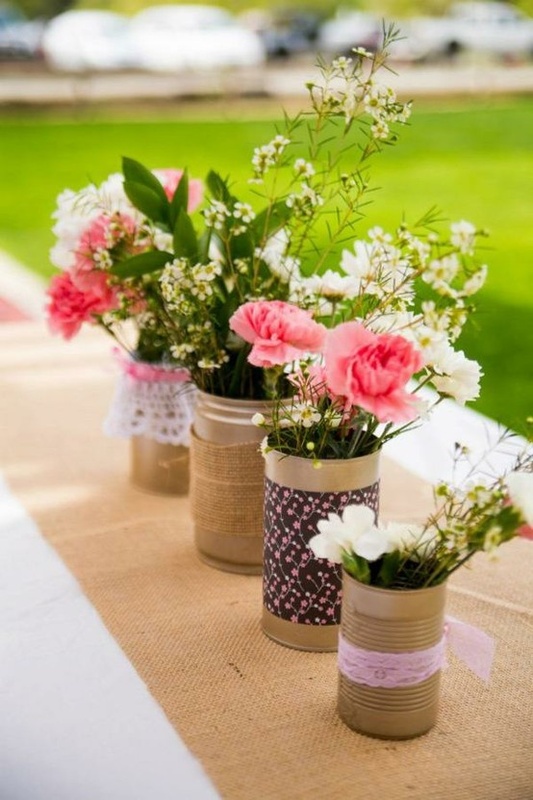 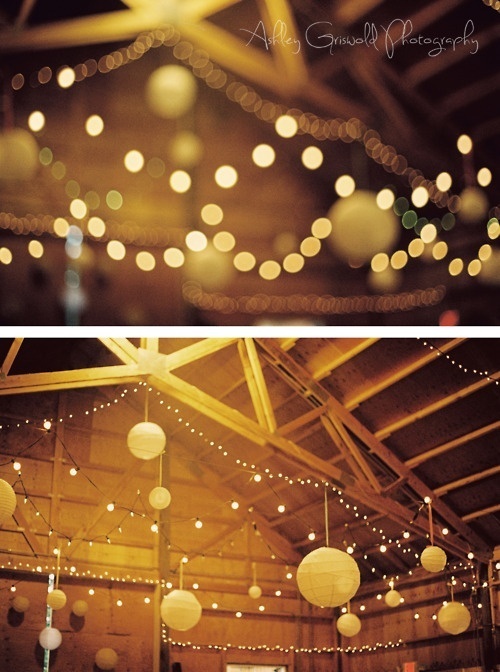 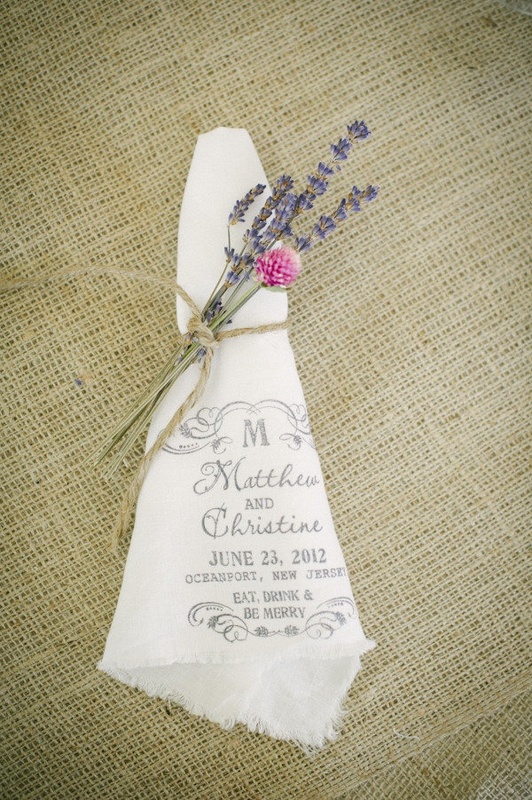 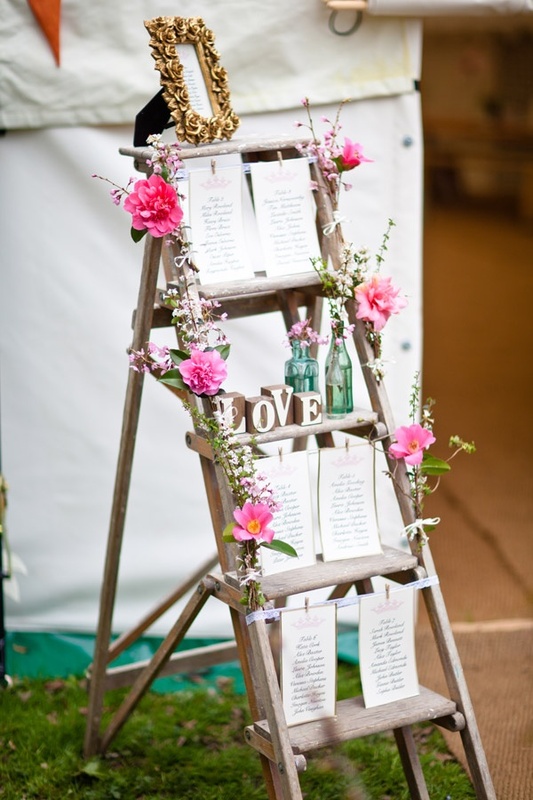 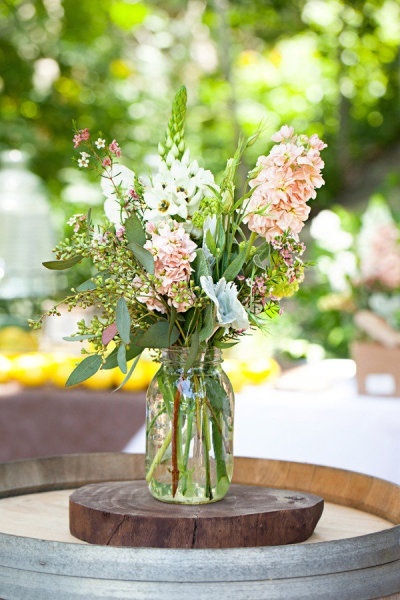 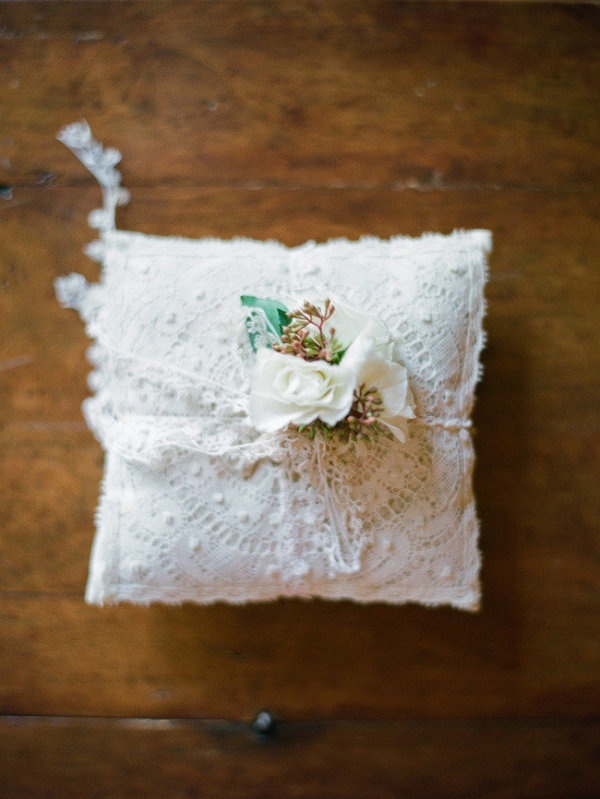 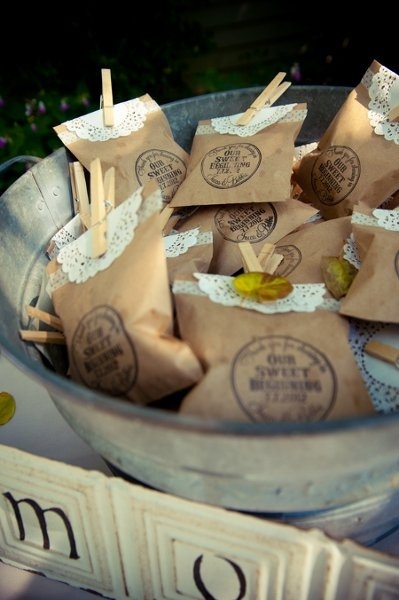 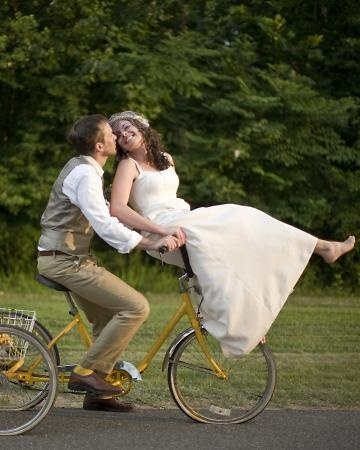 Steal any of these inspirations into your wedding and be swept away into Rustic Chic heaven! 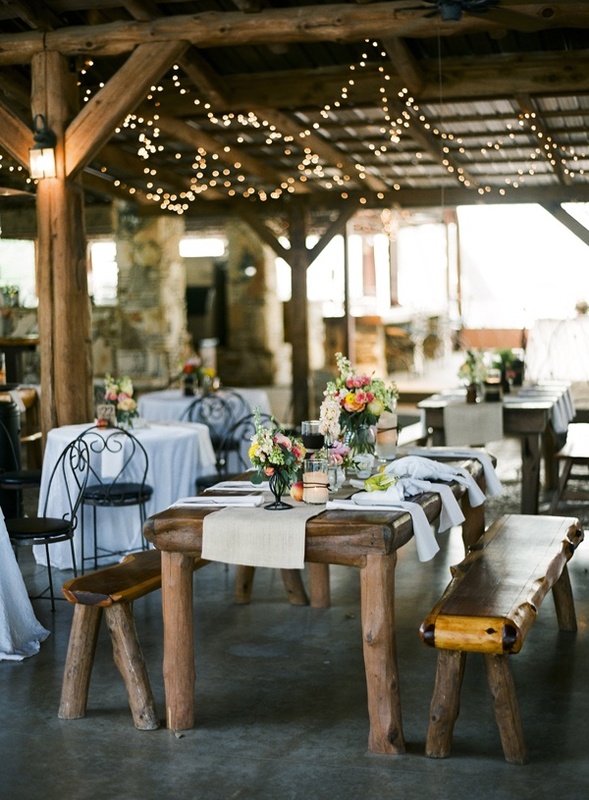 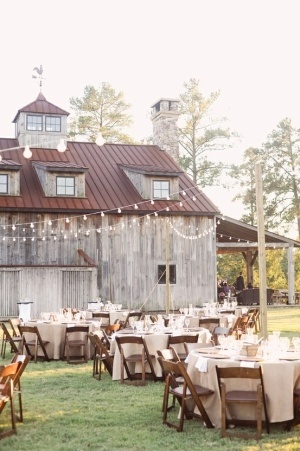 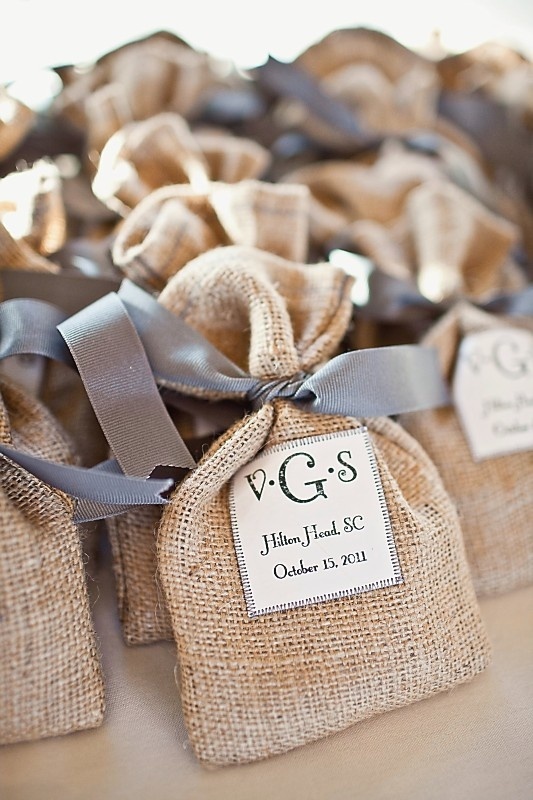 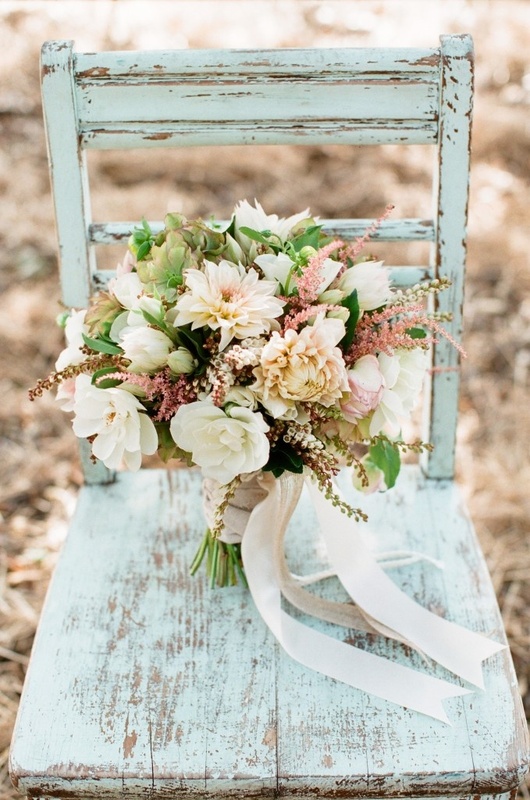 I love that wooden blue chair, give that country chic wedding a cool flare.